Subscribe to our email list so that we can stay connected! Every donation you offer is giving into building community and healing, uplifting voices and wisdom, and creating dialogue around the intersections of POC-centered mysticism, activism & healing. 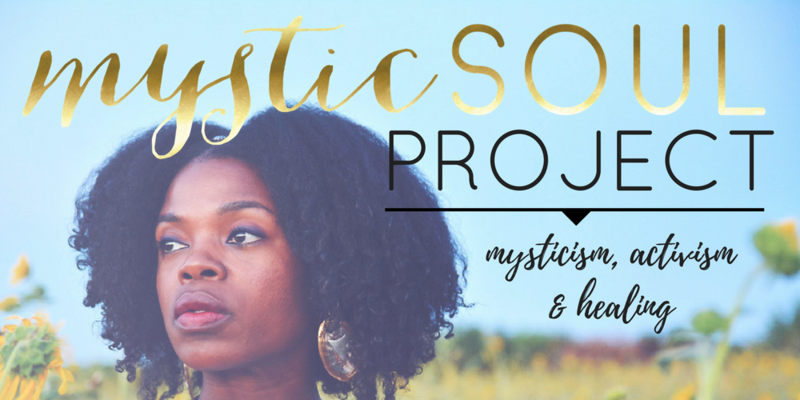 The Mystic Soul Project's creates spaces that center the voices, teaching, practices, and wisdom of People of Color (POC) at the intersections of mysticism, activism & healing. This mission is inclusive and centering of the margins of the margins - which includes centering queer & trans voices of color. The Mystic Soul Project's vision is one that is embodied through our beliefs and values, and acted out in our practices. We offer up a way of being that is possible, accessible, inclusive and aspirational - for us as much as anyone else. One of our practices is the "the practice of imperfection," which simply means that everything we do will be imperfect. To accept that basic truth is a liberation in itself. This is how we engage with our vision for the beautiful world we aspire to create, together, in community, with you. This requires aspirations, spiritual practices and principles - where we can aspire towards our best, along with you. When you give to The Mystic Soul Project, you are helping us expand our community, projects and programs, and elevate voices of POC. You are helping us to build a world where the work and voices of POC are centered -- in mysticism and overall spirituality, in activism and action, healing and community care. Your impact does not end with only POC -- when we elevate the voices, work, and communities of color you are elevating our communities and world as a whole. Give Now and help us build a world which is more inclusive and intersectional than ever! Help us build a world that flips the paradigms of power and privilege that have run our communities and nations for far too long, and centers the margins! Your employer may match your donation! Check with your employer to see if they will mach your donation to The Mystic Soul Project. All donors will receive a thank you letter with all necessary details to validate your tax-exempt donation for IRS filing purposes. For in-kind gifts or other assets, contact us at mysticsoulproject@gmail.com. Subscribe for our email newsletter & organizational updates on our website! The Mystic Soul Project, Inc. is a 501(c)(3) charitable organization, EIN 81-5349833. All donations are deemed tax deductible absent any limitations on on deductibility applicable to a particular taxpayer. No goods or services were provided in exchange for your contribution. Highlands Church North Denver is honored to partner with Mystic Soul Project. We champion the vision and leadership of Teresa and hope we continue to learn from the experiences and wisdom of the entire MSP community! Thank you for allowing me to attend the Mystic Soul Conference. I learned much and was very moved. After attending the Mystic Soul Conference, I have so much gratitude for you and your vision. I believe in the work that you do and am making this contribution in hopes that it will help you expand your reach. Thank you. I am with you, for you, beside you and behind you. Take the lead. You are heard and seen and honored and loved.